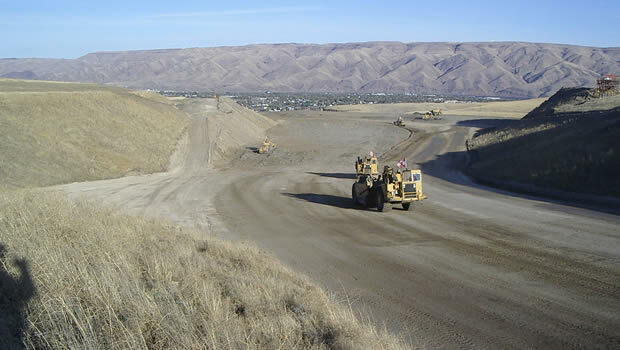 A runway safety area extension and obstruction removal project requiring excavation and fill of approximately 1,850,000 cubic yards of rock and soil. The project was conducted near and around the primary active runway and required close coordination and compliance with air traffic control, security, and FAA regulations. It involved excavation and a large engineered fill, drilling and blasting, removal and installation of water lines, erosion control, construction of drainage ditches and ponds, roadway removal and construction, and security fencing.